Eleven species of the New World monkeys inhabit the basin of the River Caquetá in the upper Amazon. Twice for a total of 16 months the author studied the foods and feeding behaviors of 10 species of monkeys in the basin of the River Caquetá, particularly in the two study areas established in the basin of the River Peneya, a tributary of the River Caquetá. Sixty-seven adult monkeys of 10 species were collected, mainly in the basin of the River Peneya, for morphological study, so that the author had a chance to analyze their stomach contents. 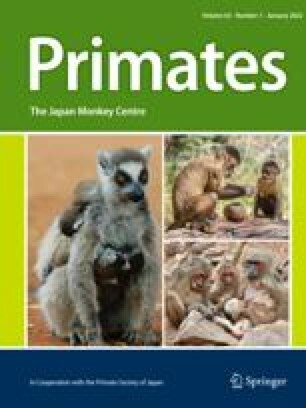 Some characteristics of the food habits of 10 species of the New World monkeys inhabiting the same area were made clear by means of direct observations in the wild and the analysis of the stomach contents.